Two dispensaries in Hawai’i were approved in the first week of August to sell medical cannabis to qualified patients, 17 years after Hawaiʻi first OK’d the use of it for medicinal purposes. The dispensaries that were approved were Maui Grown Therapies on Maui, and Aloha Green on O’ahu. Six more cannabis dispensaries are awaiting approval. Hawaiʻi was one of the first states to approve the use of medical cannabis, 17 years ago. Until now, Hawaiʻi residents registered as medical marijuana patients have had no legal way to buy the drug. For everyone else, however, the use of cannabis (the preferred professional and cultural term for marijuana), remains illegal in Hawaiʻi on the federal level. Hawaiʻi law requires all qualified patients to be registered with the Medical Cannabis Registry Program before they begin to use cannabis for medicinal purposes. The registration process begins when an appropriately licensed physician certifies that the patient has a health condition that can benefit from medical cannabis. The patient is registered when the Department of Health issues a “329 Registration Card.” The department’s goal is to issue the patient’s 329 Registration Card in a timely manner so that patients can begin or continue to legally use medical cannabis. To qualify for a 329 Card, one must either have a “debilitating medical condition” or “a chronic or debilitating disease or medical condition” recognized under the law. This is done via screening from a certified medical cannabis consultant. The process can take an average of 32 days, but there are several welcoming consultants that help applicants through it. Until now, it was legal for people with a medical cannabis card to have and use it, but they werenʻt able to buy it legally until the state changed the law in 2015. The Hawaiʻi Department of Health’s Office of Health Care Assurance oversees the dispensary licensure program to monitor the quality of the cannabis products from seed to sale. 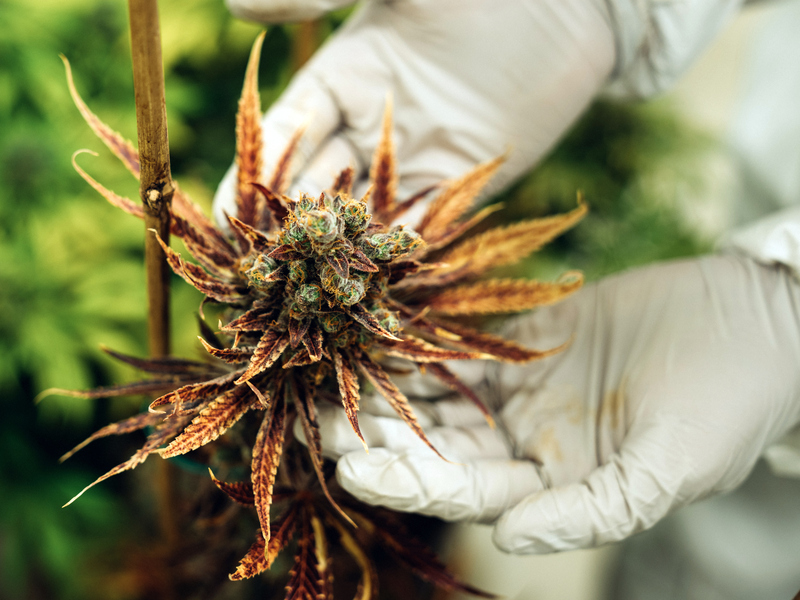 This includes statewide oversight of the laboratories that test the safety and quality of the cannabis and manufactured cannabis products, and monitoring of the dispensaries that will grow, manufacture, and sell the products to qualified patients. Advocates of medical cannabis have hailed the dispensary program as a major breakthrough. The goal of the dispensary licensure program is to make medicinal products readily available to registered patients while balancing the health and safety of patients and the public. Hawaiʻi approved its first laboratory in August to begin testing samples of medical cannabis. Steep Hill Hawaiʻi, a Honolulu-based firm, was granted a provisional certificate after successfully demonstrating a “capacity and proficiency to test cannabis” and make sure marketed products are in compliance with state law. “Certification follows a rigorous scientific process that requires meticulous attention to detail and constant refining to ensure product and patient safety,” said Chris Whelen, chief of DOH’s state Laboratories Division. The change in the law holds significant impacts to its supporters — the patients, the medical professionals, and the dispensaries. Me Fuimaono-Poe, founder of the Malie Cannabis Clinic, also certifies patients for medical cannabis use. She says that she wants to create a “comfortable and safe environment” for her patients as they go through their applications. This is to ensure that patients are relaxed and comfortable enough to talk about sensitive issues.